Here is a letter that I got from Jumpstart that I would like to share with you. Our very good friends at MetLife Foundation are celebrating Thanksgiving this year by donating $500,000 as part of their “Thanksgiving Charity Score” initiative! Jumpstart has been chosen to participate as one of four charities to receive up to $175,000! The charity that gets the most votes from the general public over the course of the initiative will get 1st place and so on through 4th place. The $500,000 will be donated as follows: 1st place: $175,000, 2nd place $125,000, 3rd and 4th places $100,000. Help us win $175,000 by voting for us once per day through Sunday, November 28, and donating your Facebook status to Jumpstart during this week of thanks. More votes for Jumpstart means more of the $500,000 donation will support our programs nationwide, helping children in low-income neighborhoods get the quality education they deserve. We can win up to $175K, but we can only do it with your vote! 1.) Vote every day for Jumpstart here! 2.) Donate your status on Facebook to Jumpstart! Simply copy and paste the following as your status to help spread the word to your network. Change it every day if you’d like! I’m donating my status to Jumpstart to let my Facebook network know that early education is important to me. I voted for Jumpstart at www.metlife.com/thanksgiving to receive $175K from MetLife Foundation! I’m thankful for my education and know how critical Jumpstart’s work is with preschool children in low-income neighborhoods nationwide. Join me – vote and paste this message as your status until 11/28. 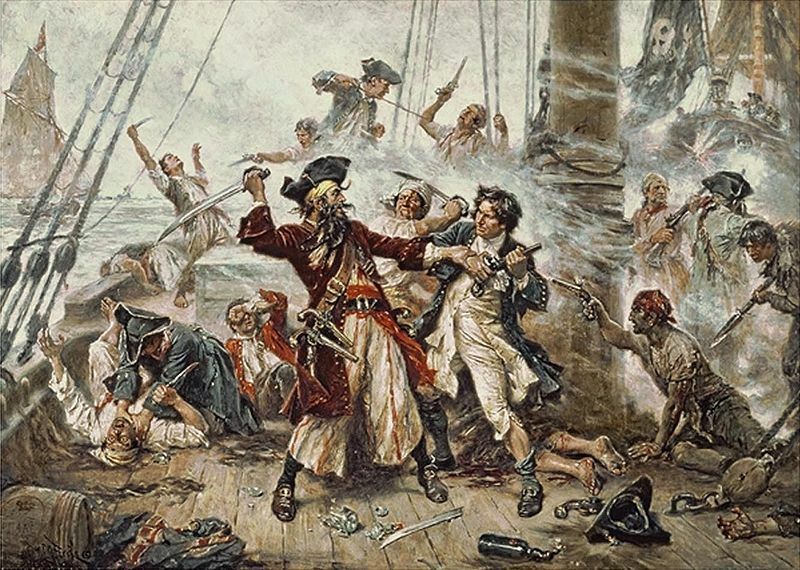 On this day in 1718- Edward Teach, who was better known as Blackbeard - was killed. Tired of being terrorized by Blackbeard and his men, the Governor of Virginia, Alexander Spotswood, put together a party of soldiers and sailors, and he gave them the job of finding Blackbeard. 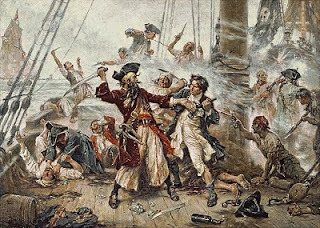 This they did off the coast of North Carolina, and after a fierce battle, Blackbeard was finally killed. Like so many other people, I find myself drawn to stories about pirates and their adventures. Over the years I have reviewed many books about pirates, and several of them are about Blackbeard, the man who many consider to be the most famous pirate of them all. You will find my Blackbeard feature here on the TTLG website. At this time of year in Oregon, there is an abundance of brilliant color all around. 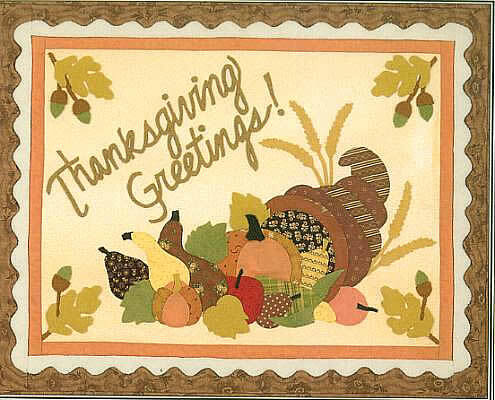 There are the yellow, gold, and red leaves on the trees, orange pumpkins that get turned into pies and soup, and glowing red, yellow, orange, and purple chrysanthemums sitting in pots. For today's Poetry Friday title, I have chosen to review a poetry collection in which the poet looks at the world through eyes that see only in black and white. In Caitlin's world, everything is black or white. Things are good or bad. Anything in between is confusing. That's the stuff Caitlin's older brother, Devon, has always explained. But now Devon's dead and Dad is no help at all. Caitlin wants to get over it, but as an eleven-year-old girl with Asperger's, she doesn't know how. When she reads the definition of closure, she realizes that is what she needs. In her search for it, Caitlin discovers that not everything is black and white—the world is full of colors—messy and beautiful. Calling all Magic Tree House fans! There is a new website to explore. (November 10, 2010, New York, NY)—Random House Children’s Books (www.randomhouse.com/kids) is thrilled to announce the launch of the all-new www.MagicTreeHouse.com, the online home for Mary Pope Osborne’s Magic Tree House series. For nearly 20 years Mary Pope Osborne’s bestselling and internationally beloved series about a brother and sister who travel through time has been trusted by parents and educators for its ability to simultaneously educate and entertain young readers. Brimming with engaging and interactive features for audiences of all ages, the site adds an exciting and enriching dimension to the Magic Tree House reading experience. A lively animated intro leads visitors to the home page, which features a bookshelf where children can view the full series, read excerpts, and create a personal wish list. The site features a fun and educational new game, Magic Tree House Missions, in which children join characters Jack and Annie as they travel through time and collect clues to solve puzzles and complete missions. The game features more than 60 unique missions and over 250 trivia questions based on facts found in the books. Children can also sign up to receive personalized Tree House Mail from Jack and Annie, and send and receive messages from author Mary Pope Osborne and Natalie Pope Boyce, co-author of the nonfiction companion Research Guides. Additionally, the On Stage section of the Web site lets visitors explore the ways they can see the book series come to life through live dramatic performance. Fans can learn more about Magic Tree House: The Musical, a live musical adaptation of the series; Passport to Reading: A Magic Tree House Live Event, a touring events program that will bring Jack and Annie’s adventures to bookstores throughout the U.S.; Magic Tree House: Space Mission, the world’s only full dome planetarium show based on the series—and more. Educators will soon discover MagicTreeHouse.com to be a favored destination of their own. The redesigned Teachers Club offers a wide array of resources, including lesson plans and 100 printable activities to help teachers incorporate the series into their curriculum. In addition, the Classroom Idea Forum is a new feature that enables teachers to chat and share ideas. Parents will also enjoy access to activities that they can do with their children and a calendar of upcoming Magic Tree House events. They will also be able to track their child’s wish list. “Mary Pope Osborne is one of the most beloved children’s authors of our time and it is a joy for me to witness the hugely positive influences her books have had on young readers around the world. I am delighted that the quintessential Magic Tree House experience of adventure and imagination can now be enjoyed and experienced in a whole new way,” says Mallory Loehr, Vice President, Editor-in-Chief, Random House Books for Young Readers. Random House Children’s Books collaborated with Cricket Moon Media to create MagicTreeHouse.com. Magic Tree House fans can also enjoy the series on Facebook at Facebook.com/MagicTreeHouse, and on Twitter at Twitter.com/RandomHouseKids. Mary Pope Osborne’s celebrated Magic Tree House series has sold 70 million copies in North America and has been translated into 28 different languages in 31 countries. First published in 1992, the series continues to be widely regarded among children, teachers, and parents alike for its power to instill a passion for reading. With the recent launch of the entire Magic Tree House series in e-book form (June 2010), the series is available in the now-customary three platforms—print, audio, and digital. Random House Children’s Books is the world’s largest English-language children’s trade book publisher. Creating books for toddlers through young adult readers, in all formats from board books to activity books to picture books, novels, and e-books, the imprints of Random House Children’s Books bring together award-winning authors and illustrators, world-famous franchise characters, and multimillion-copy series. The company’s Web site Kids @ Random (www.randomhouse.com/kids) offers an array of activities, games, and resources for children, teens, parents, and educators. Random House Children’s Books is a division of Random House, Inc., whose parent company is Bertelsmann AG, a leading international media company. A few weeks ago I reviewed a book of poetry called This is just to say . The book was so unusual and interesting that I asked the author, Joyce Sidman, to tell me about how the book came to be written. I know what it is like to turn an idea into a story for a picture book, but how does one go about about writing a collection of poems? This is Joyce's response to my questions. 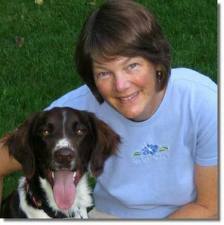 In addition to writing, I work part time in Minnesota schools as a writer-in-residence. My job is to introduce elementary-aged students to poetry writing in an intense, one-week period—in which we play with metaphor, use sensory details, and look at the world with a poet’s eyes. We also sometimes look back into our own sordid pasts. I felt a brief clutch of child-like terror. Had I even told her I’d done it, all those years ago? Did I really want to bring it up again? But I swallowed my pride, and I sent it to her; I felt I owed it to my students. And she wrote me back a lovely letter about how she'd felt all those years ago, and what made her cry (losing a bit of her childhood). This incident made me think about apology and forgiveness, how one deserves the other. Wouldn’t it be wonderful, I thought, if apology poems could be answered? 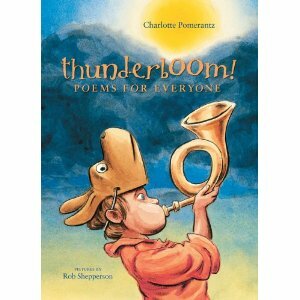 Wouldn’t it be great if a whole classroom of children wrote poems and then got responses to them? Once I sat down to write, This Is Just To Say poured out of me in a way that few books have. The characters in this book spoke for themselves, but they also spoke for me, for my heart. There was so much to apologize for! The goodies I’d filched; the stupid, thoughtless things I’d done; the feelings I’d hurt. My students’ voices echoed in my head as well: children who’d felt sorrow over minor transgressions, as well as helplessness in the face of tragic events. One of poetry’s goals is to unbundle the heart and let it expand, and believe me, I did a lot of unbundling! The forgiveness poems were just as rewarding. In a perfect world, apology and forgiveness should go hand in hand. This may not always happen in real life, but it was deeply satisfying to create a world in which it does. Thank you so much Joyce. 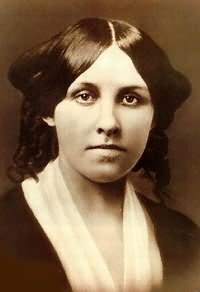 You can find out more about Joyce and her books on her website. Poetry Friday - A review of Thunderboom! This week's poetry title is perfect for someone who likes a little of everything. Today TTLG is participating in a very special Blog event. It is called Green Books Campaign. The Campaign has been organized by Eco-Libris, and it is a celebration of green books of all kinds. 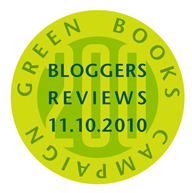 On this day at 1:00pm EST two hundred bloggers will simultaneously publish two hundred book reviews that were printed on environmentally-friendly paper. By turning a spotlight on books printed using greener methods, Eco-Libris aims to raise consumer awareness about considering the environment when making book purchases. The 200 books to be reviewed are in a variety of subjects including cooking, poetry, travel, green living, and history, and come from fifty-six publishers from the U.S., Canada, Australia, and the U.K. that are participating in the Green Books Campaign. Please visit the other blogs that are participating in this event by visiting the Green Books Campaign page on the Eco-Libris website. One hundred years ago, we did not fully appreciate how much of an impact we humans were having on our planet. Thankfully, we have learned a lot since then. Many of us acknowledge that “we have the fate of the whole planet in our hands,” and we therefore need to make every effort to create “a sustainable future” for all the living things that populate Earth. How is this to be done? What can we do to protect our planet? One of the things we can all do is to learn more about this beautiful and extraordinary planet that we depend on. We can educate ourselves, and in so doing we will better understand and appreciate the interactions that exist between plants, animals, water, air, and earth. This book presents readers with the means to learn about our planet, the various ecosystems that are found around the world, and the steps that we need to take to protect our precious inheritance. The book is divided into ten main sections. The introduction looks at the story of our planet and how it has changed over time. Here readers will find out about the carbon cycle, global warming, the search for forms of energy, the water cycle, what it means to be sustainable, and more. This introduction is followed by chapters about the major ecosystems that are found on Earth. We can read and learn about polar regions, temperate forests, deserts, grasslands, tropical forests, mountains, freshwater systems, and oceans. Each section contains annotated maps, diagrams, and photos. There is general information about each ecosystem, information about the plants and animals that are found there, and details about man’s interaction with that ecosystem. The last chapter in this excellent title looks at the ways in which we can set about “helping our Earth.” Though the problems may seem too enormous and overwhelming, “one person can make all the difference.” With every light that is turned off, every bottle that is recycled, every beach that is cleaned up, every bike that is ridden, and every piece of clothing that is reused, we all make a difference. Packed with information that is complimented by photos, diagrams, maps, tables, and illustrations, this is a book that everyone should read. It is an invaluable tool that will help readers to understand why they need to make an effort to live a more sustainable life. Doug Pepper, president and publisher of 100-year-old publishing house McClelland & Stewart, says he is delighted to participate in a program that ties in with the company’s mission. “The Eco-Libris Green Books Campaign’s positive “take action” message perfectly reflects our consistent use of recycled papers and our commitment to sustainable publishing as a whole,” Pepper says. Michelle White, Director, Sustainability at Indigo Books & Music said, “Indigo has a strong forest conservation mandate and we believe that physical books printed on environmental paper are a sustainable choice. We commend Eco- Libris for reinforcing this message and engaging and motivating readers to take this issue into consideration when purchasing books. In fact, Indigo provides information online and through in-store kiosk that allows consumers to make informed decisions about where the paper content of their book comes from”. Learn more athttp://www.chapters.indigo.ca. Founded in 2007, Eco-Libris (http://www.ecolibris.net) is a green company working to green up the book industry by promoting the adoption of green practices in the industry, balancing out books by planting trees, and supporting green books. To achieve these goals Eco-Libris is working with book readers, publishers, authors, bookstores, and others in the book industry worldwide. So far Eco-Libris has balanced out more than 150,000 books, resulting in more than 165,000 new trees planted with its planting partners in developing countries. Most years the flu pays a call at my house and lays most of the human residents very low indeed. This morning both my daughter and I are feeling decidedly under the weather. It will be a day of warm drinks, naps, and as little activity as is possible. Several years ago I read and reviewed a very amusing book about a farmer boy who has to take care of the farm animals when they get the flu. I thought I would dig out that review and share it with you today on this House Flu day. Being a farmer can be very hard work, as one boy discovers when his mother goes away and leaves him in charge of the farm. One by one, the animals on the farm come down with the flu. It all begins with the cow. The boy isn’t quite sure what to do with a flu-ish cow so he does “just what my Mom would do, if it were me who had the flu.” So, he puts the sick cow to bed, brings her hot alfalfa tea to sip, and fluffs her pillows. In rapid succession, the rest of the animals on the farm get sick. The boy doggedly sticks to doing “just what my Mom would do” and soon the house is bulging with chickens, piglets, turkeys, a donkey, and a flock of sheep. Each sick animal is lovingly tended and cared for. Finally, one morning, the boy wakes up to the welcome sound of silence. There are no more “Ka-choo’s” from any of the animals. And yet, none of the animals are willing to return to the barnyard. What should the boy do? Why, he does “just what Mom would do” of course, and soon enough the animals leave the house. With catchy rhymes, gentle humor, an amusing ending, and bright colorful illustrations this is a perfect ‘get well’ book. Today I have a book of poems for you that really delighted me. Everyone in my family enjoys a good treasure-hunt. We search through dusty shelves at old book stores, dig through boxes at antique shops, and spend hours looking down at the ground on our Oregon beaches hoping to find the perfect agate. John Frank's poems perfectly capture the essence of great treasure-hunts. Hunting for treasure is something that people of all ages love to do. They pan for gold in a stream, they search a beach for the perfect shell, they dig in the earth for hours hoping to find a fossil. Other people search through boxes of objects at a flea market or yard sale hoping to find a rare book or baseball card, an old pocket watch or a pretty pendent. Searching for that special something is, in and of itself, a delightful adventure. There are those searches through dusty attics that reveal all kinds of odd bits and pieces from the past. There is vintage hat that seems ridiculous at first, until one tries it on! There is an old doll that was once was loved by a little girl, and a snow globe “A winter frozen in a dome of glass.” There is an old medal that once belonged to Grandpa. He refuses to speak about his war experience, but the medal speaks for him. Using all kinds of rhyming forms and word patterns, John Frank shows his readers that a treasure can be anything. It can be a geode or a baseball card, an arrow head, or a piece if glass. All that matters is that it is something that you have found and that you treasure. Ken Robbins’ beautiful photographs compliment the poems perfectly, capturing the wonder that one can experience when one is on a treasure hunt. Today is the birthday of Janell Cannon, the author who created Stellaluna , Verdi , Pinduli and other wonderful picture books that feature animals. One of my favorite Janell Cannon titles is Crickwing. I have always had a fondness for insects, and the main character in this picture book is a cockroach. Crickwing is in a very disgruntled mood. A close encounter with a toad has left one of the cockroach's wings bent at an awkward and painful angel. To make things worse, every time Crickwing finds and arranges his food to his satisfaction, some creature comes along to either steal his food or it tries to eat him. For Crickwing is something of an artist and he enjoys creating sculptures of his food - beautiful creations of roots, flowers and twigs. He does not, however, enjoy seeing his work destroyed and having to run for his life. Finally Crickwing has had enough and when he sees a parade of leafcutter ants walking by he decides to have a little fun. Unfortunately what he does is at the expense of the ants and Crickwing rapidly turns into a bully, making life very difficult for the industrious ants. Crickwing soon learns that no one bothers ants and gets away with it - not even a large cockroach. Crickwing is taken captive by the leafcutter ants and not long afterwards the queen ant decides on his punishment. Crickwing is a very sympathetic character and it is refreshing to read about a creature that most people are terrified of - a cockroach. 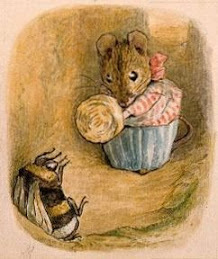 The author presents her insect characters in such a way that one cannot help hoping the Crickwing will be saved. With humor and compassion Janell Canon's clever story unfolds, each beautifully illustrated page drawing the reader deeper and deeper into the little insect world on the forest floor. At the back of the book the author has included some further information about cockroaches and leafcutter ants. You can look at a profile of Janell Canon here, and if you are interested in insects and their kin, take a look at the TTLG Insects and their Relatives feature. In The Brimstone Key , authors Derek Benz and J.S. Lewis deftly blend the mystical wonder of steampunk with magic and adventure to create an action-packed thrill ride. Derek Benz and J.S. Lewis have been best friends since diapers. They grew up sharing birthday parties, Saturday morning cartoons, comic books and baseball cards, and spent much of their childhood exploring the sprawling woodlands behind Derek's family farm, which they secretly suspected was enchanted. They are the authors of three previous books featuring The Grey Griffins: The Revenge of the Shadow King, The Rise of the Black Wolf and The Fall of the Templar. Derek Benz currently lives with his wife and son in New Jersey. J.S. Lewis lives with his wife and daughters in Arizona. How did you and Derek start working together? I’ve known Derek for most of my life. In fact, he was at my sixth birthday party where he gave me my very first Star Wars action figure (Obiwan Kenobi). And I still have it! Growing up we always talked about creating our own worlds. We thought that would involve comic books, but somewhere along the way we became avid Tolkien fans and we shifted our storytelling from panels to prose. We got serious about it in our late twenties, and the rest is history. How you manage the logistics of working together. We usually have a few brain storming sessions where we throw all of our ideas on a white board or Post-It notes. Once we’re happy with the general direction, we create a loose outline. Then we’ll divide the book into sections and start writing. Once we’re done, we’ll trade manuscripts and give it a solid edit. Then it’s time to switch back for one more editorial pass before we cut and paste the sections into a single document. After that, we’ll work with our editors to ensure we have not only created the best story possible, but that the book has a cohesive voice. What inspired you and Derek to write this series. Growing up in rural America has its advantages. Derek lived out in the country on a hobby farm, and his house was surrounded by had a few hundred acres of forest that provided amazing adventures. We took those experiences and combined them with our favorite mythological tales to come up with the Grey Griffins series. It’s fantasy firmly rooted in the true stories of our childhood. What, if any, research did you two have to do to write these books. Derek was a history major, and as a part of his coursework, he studied medieval warfare. Me? All I have is a broadcast journalism degree. Derek brought a great knowledge of the Templar, which we used as catalysts to root our stories firmly in actual history. From there, we were both fairly versed in mythology, fairytales and monster lore. We mixed in a healthy does of our own experiences growing up and in the end we created a kind of story stew with distinct flavors that seem to work well together. What kinds of events do you like attending when you are promoting your books. The best part about writing middle grade books is traveling to schools and speaking to kids from coast to coast. Instead of giving a 45 minute commercial about our books, I tend to focus on the stories behind the stories that make it into our books. When kids see that the experiences they’re going through today can actually make compelling stories, suddenly everything clicks. Writing no longer becomes a chore and they start spitting out some fantastic manuscripts. We’re both avid fans of anything by J.R.R. Tolkien and C.S. Lewis. I loved Hunger Games by Suzanne Collins, Behemoth by Scott Westerfeld, The Mysterious Benedict Society by Trenton Lee Stewart, Half Moon Investigations by Eoin Colfer, and just about anything about World War II. You can find out more about this thrilling book on the Grey Griffins website. The November and December 2010 issue of Through the Looking Glass Children’s Book Reviews is now online. I have put together a wonderful collection of reviews for you for this issue, and I hope you enjoy reading the reviews as much as I enjoyed writing them. In November and December, people start thinking about and getting ready for the holidays. To make it easier to select gift books, all the new books in this issue are stand-alone titles, or they are the first book in a new series. For this issue I have chosen to focus on Arts and Crafts Books and Kits. For these months leading up to the holidays, I have put together a collection of books that encourage children's creative sides. 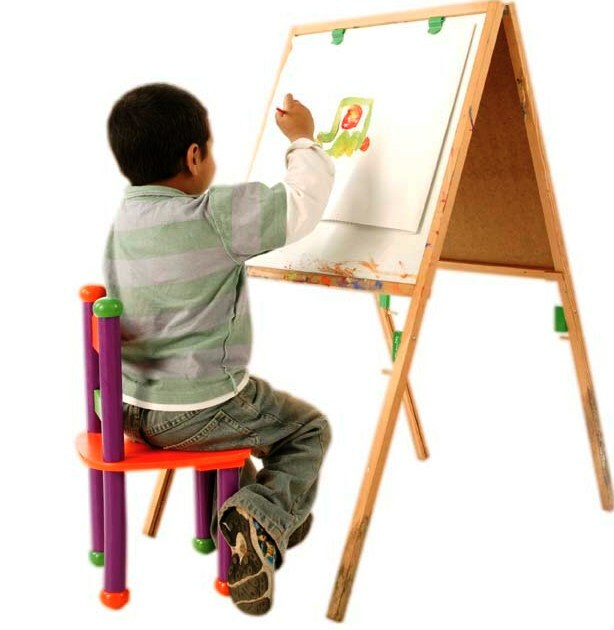 There are coloring books, how-to books, and craft kits for young people of all ages. All of the books and kits reviewed here would make great gifts for the holidays. Many of them are the kind of gift that will last many hours or even days, and hopefully they will give children the opportunity to explore a new skill, or to expand on their own creativity. In November and December autumn shifts into winter. During these months we get serious about bundling up in warm clothes, toasting ourselves in front of warm fires and wood stoves, and finding ways to spend really wet or cold days. I actually really enjoy this time of year as I enjoy sitting under a warm blanket reading a book. What could be better? For this month’s Editor’s Choice title, I selected Flipped by Wendelin Van Draanen. This coming of age novel is funny and poignant, and it beautifully captures the confusion that comes with growing up and falling in love. November 9th is National Young Reader's Day (USA) - National Young Readers Day is a day that was created by Pizza Hut and the Center for the Book in the Library of Congress in 1989 as a way to celebrate literacy in schools.